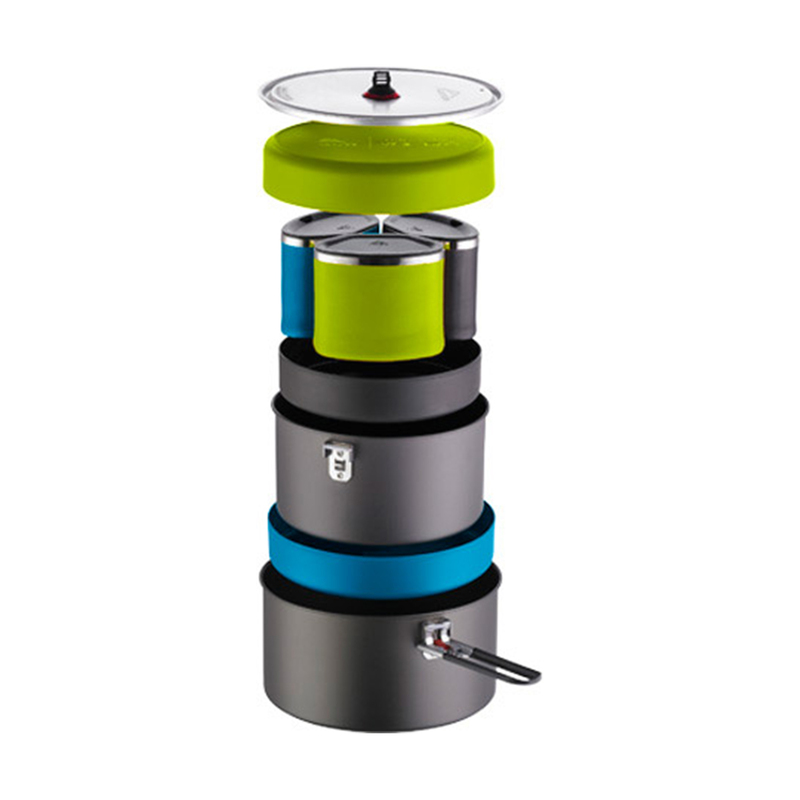 The MSR Flex 3 Cook Set provides everything three people need to cook, eat, and drink whilst at camp. 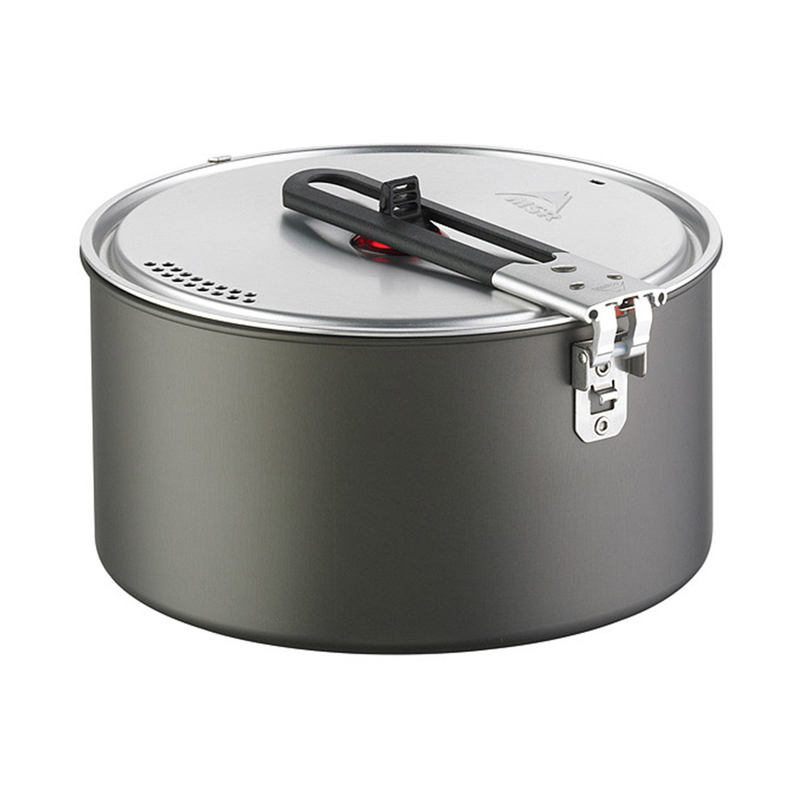 The pots are made from hard-anodised aluminium with non-stick surfaces, the perfect material to last through frequent cooking or cooking for large groups whilst keeping weight to a minimum. Everything packs inside the large 3.3 litre pot to save the most space in your backpack. • Dual Cooking Surfaces: Both pots are durable hard-anodised aluminium; one has a scratch-resistant, nonstick surface. • Nested design: Saves valuable space; mugs also accommodate the Folding Utensils and the whole system nests inside a Flex Skillet. • Comprehensive: Includes mugs and plates for three. • Includes: (1) 2.3L Nonstick hard-anodised aluminium pot, (1) 3.3L Hard-anodised pot, (1) Aluminium Strainer lid, (3) DeepDish™ plates, (3) 12.5 oz. Insulated Mugs, (1) Talon™ pot handle.